No second term for WIPO incumbent? Most eyes later this year will be on the Human Rights Council or other high profile UN contests. But at the same time, potential challengers could be weighing their prospects to oust the incumbent Director General at the World Intellectual Property Organization. While a race to head an intellectual property agency may not sound very exciting, it is one of the more transparent processes in global leadership selection. The race will formally get underway next month with the distribution to member states of a circular (in other contests, known as a note verbale) inviting nominations for the top post. 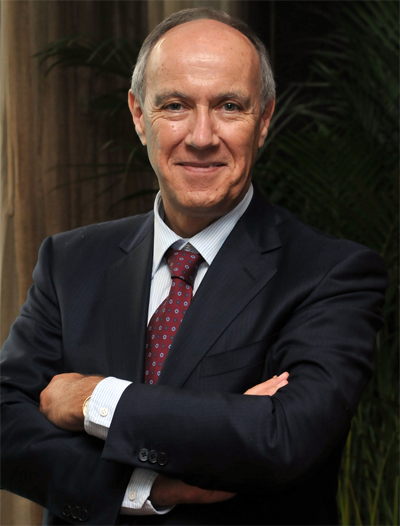 Francis Gurry’s first term formally concludes on 30 September 2014, providing a year-long process in identifying his possible successor. Gurry has stated his interest in staying on board for the traditional second term often granted to multilateral top officers, but William New at IPWatch.org suggests that he could face a serious challenge. New reports that “sources said that there is some dissatisfaction with Gurry… over management of the organization” and that current Deputy Director General Geoffrey Onyeama may be put forward by Nigeria, and that others from Europe and Latin America are also being discussed by member states. Procedures for the election of WIPO Director General have been stumbling toward improvement and greater clarity over the last few races. The process is generally defined in the WIPO Convention, but until 1998 there were no standing procedures for carrying out the election. The convention provides for the post to be filled by the nomination of a single candidate by the Coordinating Committee and his/her appointment by the General Assembly and that the post is filled initially for a term of not less than six years, while remaining vague on the duration of additional terms. The principle concern among members was the length of and number of terms to which a single individual could be appointed. A consensus emerged that a Director General should serve not more than 12 years, whether in two fixed terms of six years each or multiple terms of differing duration. The decision was eventually reached to amend the Convention to reflect the former, but 15 years later it has still not yet entered into force as fewer than half of the necessary ratifications by member states have been submitted. Nonetheless, members operate under an informal agreement the implements the decision in practice. Another recommendation considered in 1998 which has become a common feature in other multilateral selections was hosting a forum during which candidates could make presentations and take questions from the broader WIPO membership. The idea was proposed to encourage the early elimination of nominees which did not receive broad support during this “campaign” phase of the contest. At the time, however, the idea failed to gather approval from WIPO members and was dropped. Kamil Idris, elected in 1997, enjoyed unanimous support for re-election in 2003, so the first test of the new procedures did not come about until 2008. A minor scandal forced Idris’ resignation a year ahead of schedule. A circular issued in November 2007 invited member states to nominate one of their nationals for the post to be filled in 2008. (The restriction on a nominating government to put forward only their own nationals is common, but not universal, in multilateral elections.) The deadline for nominations was set for 13 February 2008. Each nomination was shared with the membership upon receipt, with a final list provided following the deadline. The chair of the Coordinating Committee in 2008, Ms. Hilde Skorpen, also offered better foresight than the general membership. Despite the lack of support for a candidate forum in the procedures agreed to in 1998, she invited candidates and members to come together “on a purely informal and voluntary basis” for such an event. All fifteen candidates agreed to participate and were provided the opportunity to make a presentation and answer questions from member’s representative. Though participation was “informal and voluntary,” the event was an official function and afforded the broader membership an opportunity to engage with the candidates. The inclusion of such an event reflected the practice that is become more common in multilateral selection and increases the satisfaction of member states in the process. “Ensuring the process is fully transparent is a main concern,” the chair noted. Candidate engagement with member states is only one approach of opening up the process to greater scrutiny. In the 2005 World Trade Organization election, the candidates also engaged with civil society groups. In 2008, a like-minded group of organizations invited the WIPO candidates to a similar civil society forum to “discuss their vision for the future of WIPO, including WIPO’s relationship with civil society.” The event took place the day after candidates met with WIPO member states. Seven of the 15 candidates attended, and two others submitted written statements. The questions posed to candidates and their responses were published online by the organizers as was a video of the event. A number of candidates also responded to a questionnaire on intellectual property policy and WIPO management prepared by IPWatch. Meeting with civil society groups in addition to member states provides candidates the opportunity to build advance relationships with a multilateral’s external partners. In the case of the WIPO, the relationship can facilitate the development and implementation of IP laws around the world. The first formal meeting of the Coordination Committee to consider the nominees took place the following month, in May 2008. The committee met and voted in a series of ballots to determine if any of the 15 candidates could be agreed upon by consensus. This process of carrying out straw polls is also gaining popularity among member states at a number of multilaterals; it was even used by the UN Security Council in 2006 to evaluate the support enjoyed candidates for UN Secretary General. What brought the WIPO process more in align with “existing or emerging practices” was the elimination of candidates which failed to receive broad support. (This was not the case in 2006 N Secretary General contest.) The WIPO procedures provide that the candidates with the lowest level of support in each round are automatically removed from further consideration. Others may withdraw rather than be formally eliminated, or they may remain in hopes of drawing additional support in later rounds. But in the 2008 contest, candidates were almost eager to withdraw before facing elimination. Two candidates were eliminated in the first round, and two others who obtained few votes voluntarily withdrew before the second round began. One nominee was eliminated in the second; two others tied for the second-lowest vote count, but before it could be determined which would be removed, both withdrew, as did the next four with the next lowest vote counts. Thus the field was reduced from 15 to 3 candidates in quick order. One candidate was eliminated in the third round, and Mr. Gurry edged out his remaining competitor by one vote in the fourth and final round. The 2014 contest will for the most part continue to follow the 1998 agreed-upon procedures. It will get underway formally with the distribution in early September of a circular inviting nomination from WIPO member states. The deadline will be three months afterwards, on 6 December. The process, released earlier last month by the WIPO Secretariat, notes that nominees’ names and curricula vitae will be shared with members as soon as they are received, with a final document including all nominees’ information shared immediately following the nominations deadline. 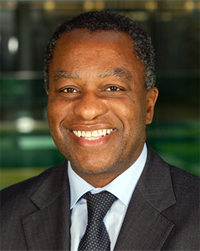 If Nigeria does formally nominate Geoffrey Onyeama, currently a Deputy Director General, it will need to do so shortly after nominations open in order to secure momentum against potential later nominees. Next March, the Coordinating committee will meet to evaluate Gurry, Onyeama and any other nominees put forward and attempt to reach consensus on a recommendation to the WIPO General Assembly. Being optimistic that advances in transparency won’t be reversed, a candidate forum can be expected to be scheduled sometime in late January or early February 2014, allowing members to hear each candidates’ priorities for the organization and pose questions to them. It is uncertain if a similar civil society forum will also occur around the same time. The process agreed upon in 1998 calls for the formal appointment to occur no more than three months before the outgoing Director General’s term ends. However, this provides little time for the incoming Director General to put together his senior team before assuming office. The Secretariat is proposing that the timeline for the selection be accelerated with the General Assembly meeting in a special session to appoint the nominee in early May. This would provide for the new Director General four and half months to pull together his team before assuming office in October. If member states agree to this proposal – which will come before the General Assembly in 2015 — the WIPO would be out in front of most multilaterals, for which transitions can range from days to a “lengthy” transition of 3 months. While not a critical element in the selection of the top post, a longer transition would ensure that he or she would be able to invite nominations and carry out a similarly transparent and accountable process for members of his or her senior team.